Last weekend Edna and I, who have stayed in touch since our initial interview, talked about events in her life over the past year. Once our interview appeared Edna began to hear from fans all over the U.S., Canada and...the world (Belgium, England, France, Germany, Greece, Slovakia, Spain and Sweden). The letters she receives usually include a photo of her printed from the Internet and a request that she sign it. 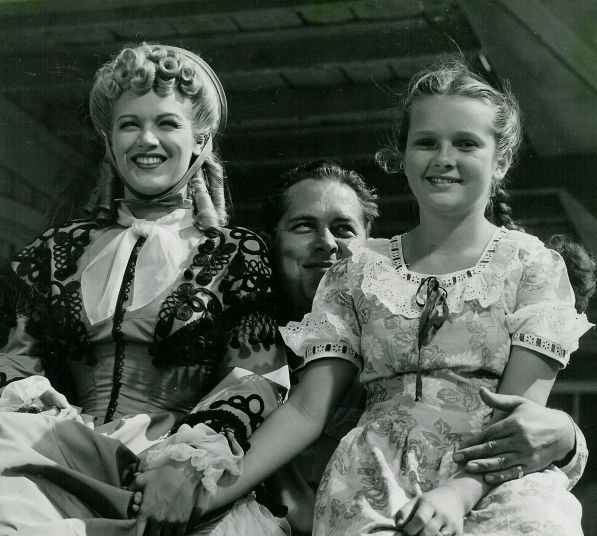 Edna still averages about three letters a week and reports that most are interested in Shadow of a Doubt, but some even mention Under Western Skies, a 1945 film that co-starred Noah Beery and Martha O'Driscoll. One young American girl wrote asking for advice on how to get into the movies. Edna responds to all who write her and in the girl's case emphasized that it's been nearly 70 years since she was "discovered," and that Hollywood has changed dramatically since then...Edna is a little surprised (and pleased) that so many of those who contact her are young people. 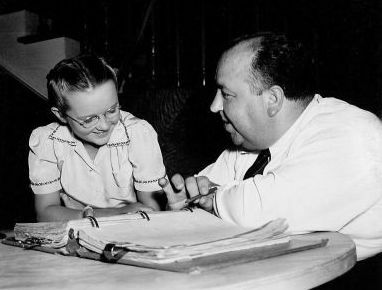 After Edna's interview appeared in the Sun she began to receive invitations from local community groups to speak about her years as a child actress. So far she has led two such programs and has a third coming up soon. She brings her memorabilia and scrapbooks and talks about her experiences on Shadow of a Doubt, The Bells of St. Mary's and the other films on which she worked during the 1940s. Edna's life has also opened up over this last year in an arena unrelated to her Hollywood heyday. When her husband died of cancer a few years ago, Edna became interested in diet and nutrition. 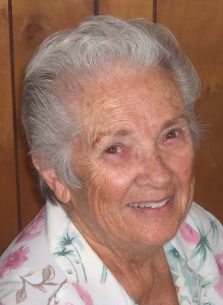 She attended Food for Life classes offered by The Cancer Project and was soon part of a small group of women who regularly met to share ideas and recipes. Eventually Edna was leading a class of 30+ men and women who still meet once a week on Mondays. Edna is committed to a plant-based diet and claims she feels better than she has in decades. She is now leading two additional classes a week and her crusade to promote healthy eating was recently covered by the Yuma Sun. Click here for link. Following this latest newspaper coverage, Edna was contacted by a local judge in charge of a rehab center who is interested in incorporating healthy eating into his program and has asked for her assistance. Edna's childhood could be called magical, but she left the movie business while still young and led a normal life in the intervening years. It seems somehow fitting that she has come full circle and is once again in the spotlight - not only because of interest in her onetime movie career, but also because of the work she is doing to help others in her community. That's so neat! I have always thought she was cute in Shadow of A Doubt. I might have to check out some of her other films, now. Have you seen all of them? Hi Ginger - Edna made about a half-dozen films and I've seen two, SHADOW OF A DOUBT and THE BELLS OF ST. MARY'S, her two "A" films. The role of Ann Newton was her biggest part...I recently viewed SHADOW again (just before CMBA's Hitchcock Blogathon) and watched the DVD extras for the first time. In a 2006 documentary that was included, Teresa Wright commented that Edna, a complete novice when the film was made, "was absolutely fabulous for that role." Isn't it interesting that she only made about seven movies and is uncredited in five of them, yet she is remembered and now sought after. Good work, Eve. We had a similar occurance with Virginia Karns who played Mother Goose in the 1934 Laurel and Hardy movie, Babes in Toyland. She only made three movies, but we found her living in New Jersey, and she enjoyed the renewed interest in her short career. She was an honored guest at our convention in 1984. I guess you also write about Bit Actors! Hi Allen - I'm certain that Edna is of great interest today because she had such a memorable role in a film considered to be a Hitchcock masterpiece. I often think that those who were not stars but had key or notable roles in Hitchcock's great films have been blessed with "filmmortality"...Robert Walker and Marion Lorne in STRANGERS ON A TRAIN, Jessie Royce Landis in TCaT and NxNW, Wendell Corey in REAR WINDOW, Barbara Bel Geddes in VERTIGO...and so many others. Joseph Cotten might have been most fortunate of all - he was never a top star but had leading or co-starring roles in three films considered great masterworks - CITIZEN KANE, STRANGERS ON A TRAIN and THE THIRD MAN. What a great story! It is good to hear she is leading such an active life at this stage. This is a great and you really did a nice job here, and congratulations on the publication of your article. Thanks, John...and I'm happy for Edna that the piece is being published just in time for her 79th birthday. I see Edna at least 2 times a week. She is warm and very genuine. She is a very dear friend and is loved by many folks in our circle. She is a true friend. This is a wonderful piece Lady Eve! Thanks so much for sharing it with the rest of us. Theres so many actresses that I would love to sit down with and listen to their stories. Just to get a glimpse into the Golden Era of Hollywood would be something special. This is one on my favorite non-Cary Grant Hitchcocks. Ann was definitely the smartest one in the household and Edna played her to perfection. So nice to hear about her. Thank you for sharing this. Congratulations on the journey of your writing to being published in such a renowned publication! What an honor, and well deserved. Your interviews open up all kinds of venues for the actors, not the least of which is to know they are remembered. Kudos, Eve! Great comments all (glad you could stop by, Marilyn) and thank you...some day I'd love to see TCM put together a special with those still living who appeared in the major Hitchcock films...Kim Novak, Farley Granger, Edna, Vera Miles...along with Pat Hitchcock. Eve, What a wonderful story. This must be very exciting time for both, you and Edna. Congrats!! Thank you so much for sharing your publications with us. Please keep us updated. Lady Eve, this is a lovely follow-up to your tribute to Ms. Green, her life and her experiences in film. I find it truly inspiring how your original article lead to an increased awareness of her film work (with feedback from all over the globe). I also find it touching that she has discovered something close to her heart that she regularly shares with others. 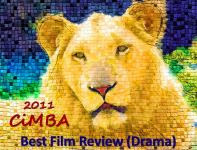 Congratulation on the encouraging feedback and tremendous success regarding your writing. I'm curious if this a publication that I might find locally (perhaps through a book store)? Thanks for an enjoyable follow-up piece. What fun to read Edna's article in THE YUMA SUN! 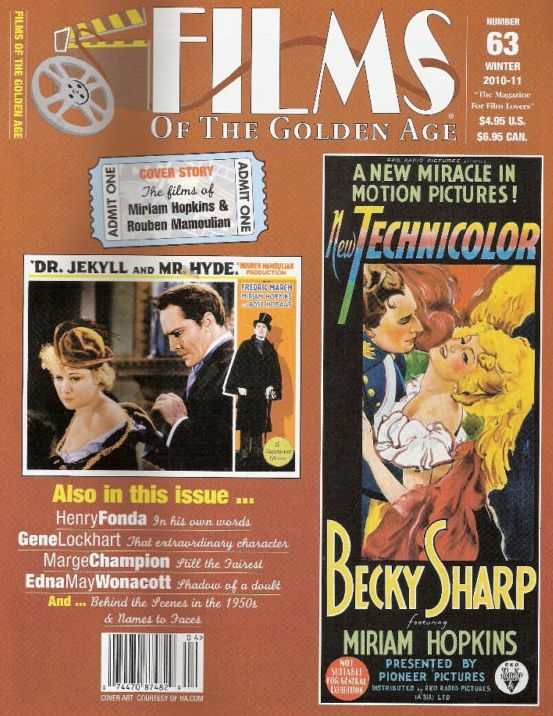 Gypsy asks a question about "Films of the Golden Age" that I should've thought to answer - is it available locally? I originally came upon "Classic Images" at my local Borders. I'd suggest that anyone who's interested and has a good-size local bookstore or newstand call and ask. I believe individual issues can be purchased through the magazine's site (link above). Thanks Dawn, Gypsy and Rick for your interest in Edna. And Rick, thank you for everything related to the original post at the Cafe, from encouragement to suggestions and OKing the blog to be reprinted twice! Like Rick, I hope readers will follow the link to the latest piece by "The Yuma Sun" on Edna. Wonderful piece, Eve. I've presented "Shadows of a Doubt" before and have often wondered what happened to Edna. Thank you for looking her up and making sure her memories are captured in print for all to enjoy in the future. Great post. I learned so much about her. SHADOW OF A DOUBT is one of my favorite Hitchcock films. Thank you for your article. Thanks for your interest in Edna, everyone. In an email today she told me that she has three more programs set up. "Shadow of a Doubt" will be screened and Edna will talk about her experience making the film and share her scrapbooks and mementos. Only one program had been planned, but high demand led to scheduling two more...kudos, Edna! Proceeds will benefit her church. This is just wonderful, Eve. Thanks so much for a wonderful story on the very memorable and still delightful Edna. I've emailed it to dozens of people. For another child star's take on working with Hitchcock a decade later, have a look at Christopher Olsen has to say about appearing with Doris Day and James Stewart in THE MAN WHO KNEW TOO MUCH on THE SHORT KNIGHT HITCHCOCK BLOG.